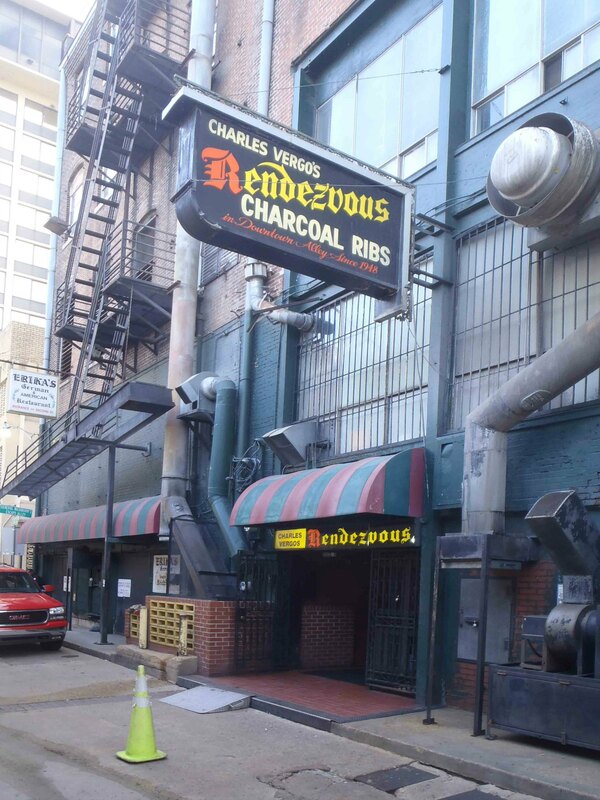 For our readers visiting Memphis, Tennessee, one of our Recommended Restaurants is Charles Vergo’s Rendezvous, aka Charlie Vergo’s Rendezvous, located in an alley between Union Avenue and Monroe Avenue, across Union Avenue from the Peabody Hotel in downtown Memphis. An added attraction for blues fans is that it is only a few blocks from Beale Street. Charlie Vergo’s Rendezvous serves excellent ribs and we plan to eat here every time we are in Memphis. Other locations to see near Charlie Vergo’s Rendezvous include the Peabody Hotel and Beale Street.